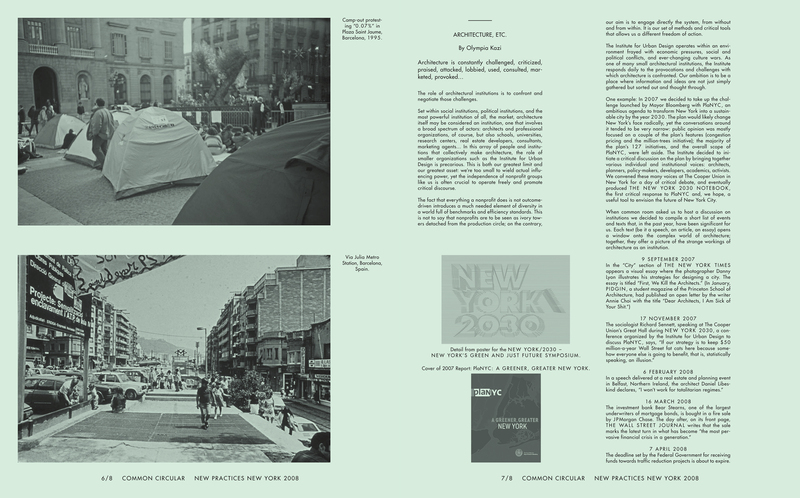 common circular 1 was published on the occasion of new practices new york | 2008. 1 – common circular is designed in a circular structure with no beginning and no end. 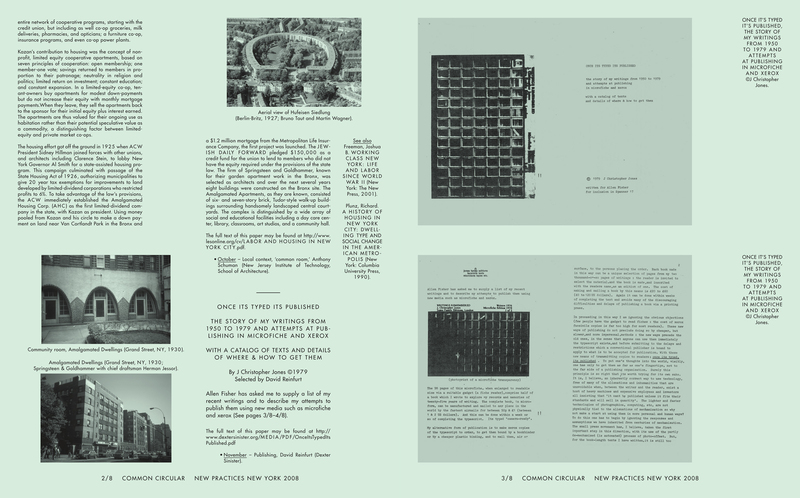 2 – anthony schuman contributed a text on the late herman jessor, the architect who designed many cooperative housing projects in new york, including co-op city and seward park. 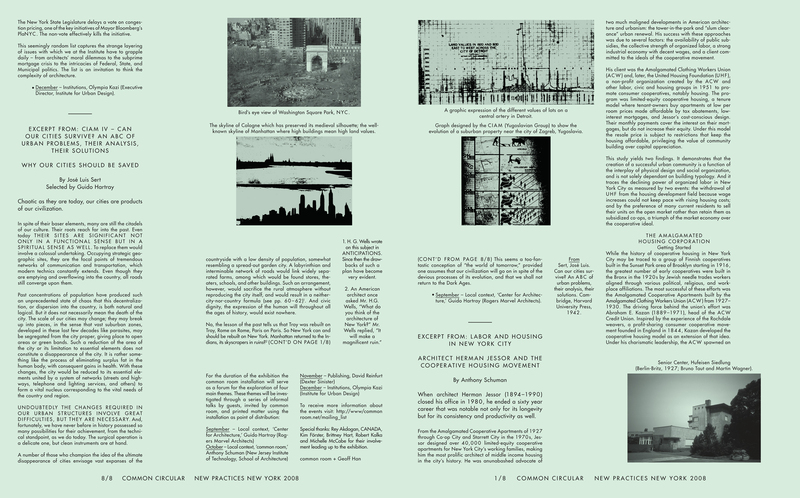 3 – david reinfurt’s contribution, a text by j christopher jones entitled ‘once it’s typed it’s published’ was submitted as scans of the original format of the text. 4 – olympia kazi was invited to write a text about the institutions. 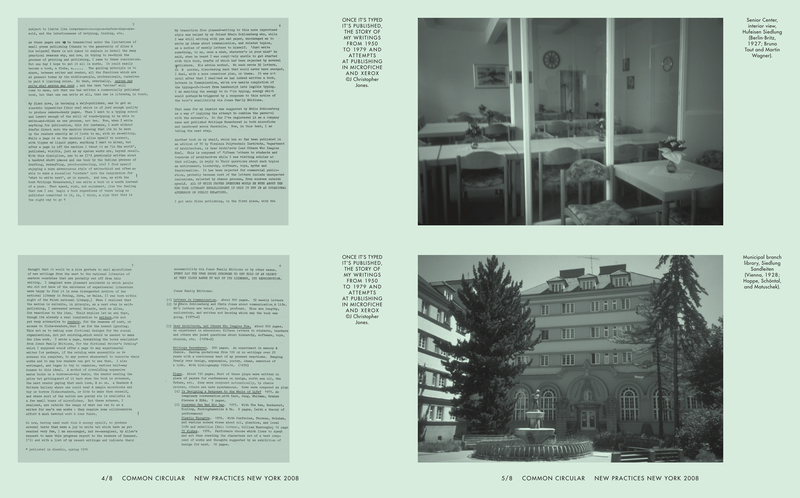 these themes were investigated through a series of informal talks by guests invited by common room, and through common circular 1, using the installation as point of distribution.